35 Reviews for ADR Builders, Ltd.
ADR has done a number of projects for us over the past 20 years, and we have found them to be efficient, professional, and creative in their work to design and implement renovation projects. 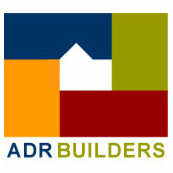 Comment from ADR Builders, Ltd. Thanks for the great review, it was a pleasure working with you on this project! Thanks so much for the review, it was a pleasure working with you on this project! Thanks for the great comments Susan! It was a pleasure working with you, as always. We appreciate the review, it was a pleasure working with you on your kitchen. Thanks for the great review! Let us know if there is anything else we can do for you. Thanks for the review, we would be happy to talk with you about any future projects! Thanks for the great feedback! We look forward to working with you on any future projects.